← A flirt, I am not. I already told you that I don’t get the whole flower thing. You were all suitably shocked and horrified except for one, very special, Aunt Lyn (hi!) who evidently feels the same way I do (who knew?). While I was at a bridal shower in DC this past weekend, my sweet hubby spent all his time working on our edible gardens. I will have to confirm all the details but here’s what I think we’ve got. 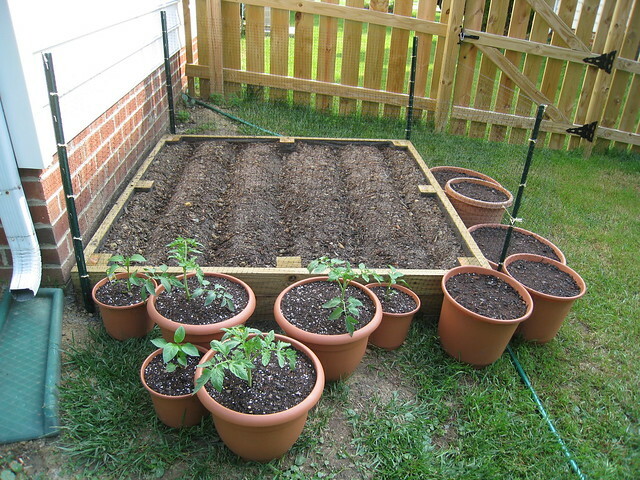 The "NEW" bed and surrounding pots. This is our NEW bed! The hubs built it from scratch (as he is apt to do) so we could have a REAL [read: Joanna can eat out of it] garden this year. I believe you’re looking at tomatoes, peppers, okra, cucumbers, broccoli and green beans. The netting is as much for the bunnies as it is for our coonhound, Layla. She sees her daddy digging and must think to herself, “Oh, this is what we’re doing?” and proceeds to dig herself little holes and hollows all over the place. Thing is, as she loves sun, and we needed a sunny spot for the garden; this was NOT a match made in Layla heaven. She is not pleased with the whole netting situation. The "old" bed and its dividers. This was our first (and by “our” I mean, he built it, I ate out of it) bed that my honey made when we first moved in together. This year it has herbs. Chives, thyme, dill, cilantro, basil and radishes. The last one on the right are the radishes-their little heads are popping up as of yesterday (sorry, I don’t have an updated photo yet). 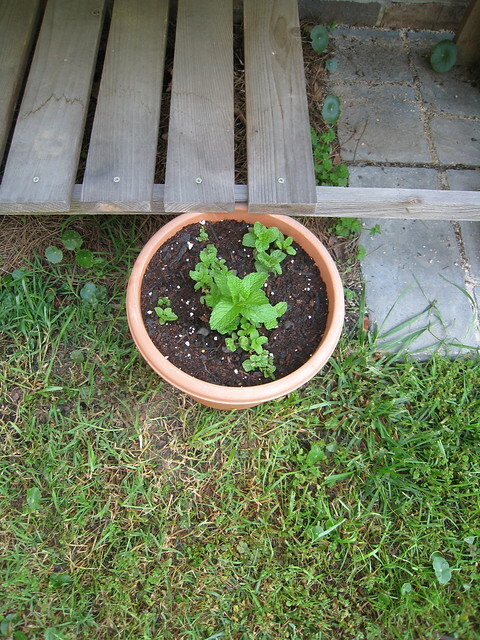 Mint "rescued" from the fence (as in it spills over from the neighbor's yard). I love berries. The smaller blackberry is a couple of years old and seemed to have trouble when we moved it from one house to another and when we repotted it this year, ants seemed to have taken up residence in its pot. So, we (again, I mean he) cleaned out the ants and repotted and hopefully it will be happier now. The other blackberry and golden raspberry are new this year and I cannot wait to taste the new ones! Are you excited?! I’m excited! See-ee? I’m not thoughtless and heartless. I just have a very specific purpose for loving the plants I love! This entry was posted in Family, Gardens and tagged family, food, gardens. Bookmark the permalink. 2 Responses to I do, however, love…veggies!! what a great garden…do you have ANY idea of how much work he has put into all of this??? Nothing like eating fresh vegetables from the garden. When your nephews were here they ate all of the snap peas! Then they decided this was “real” food and they want a garden at their home. Only problem for them are the deer. Too many deer! 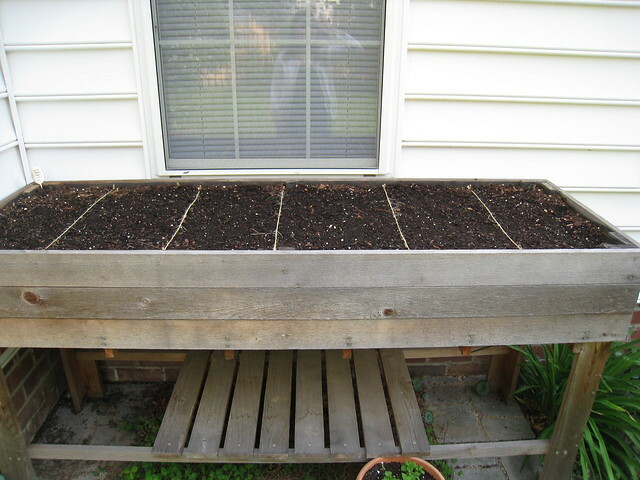 How fun to have a vegetable garden planted! I’m hoping to get ours planted this week too. So fun to be able to go out into your own yard and pick your food. 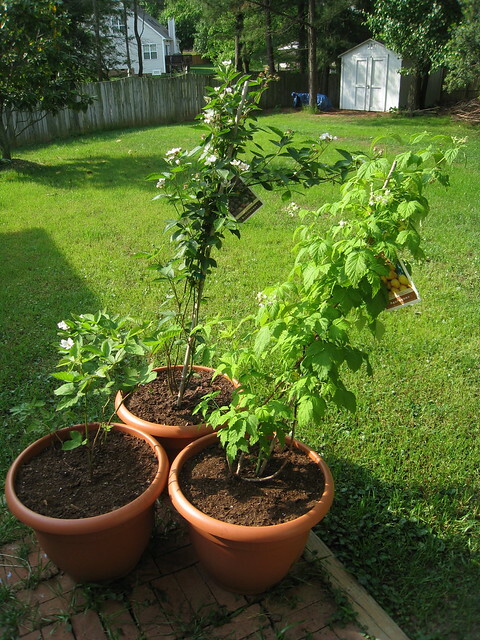 BTW, be careful with that mint plant – they are very invasive and spread like crazy. Raspberries spread too, but not as bad as mint.